Our last day of the Mid Atlantic was a little tough. We had a strong SW and and good 3-6 foot choppy seas. 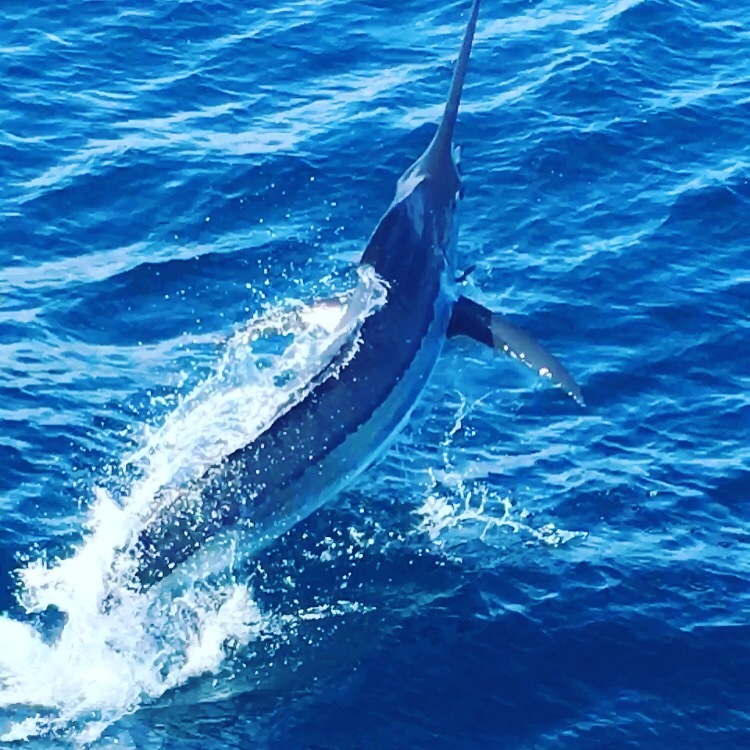 We got on some fish right away raising a double header white marlin but neither ate (one did try to eat the teaser but never stuck around). Then we raised another and then released a white. After that the bite dies for us. Just a bit offshore of us they had some better action early as well but we were too late for that bite and it was hard to leave when we were seeing fish. We searched around the rest of the day and did manage to catch 1 more white and what was our day. 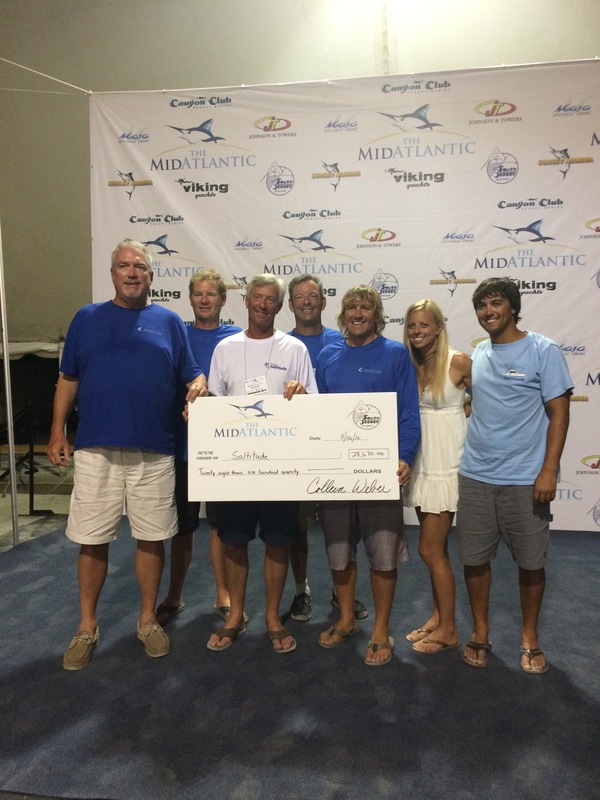 Luckily our tuna held up and we were able to win $29K and change so not a bad tournament at all. Lots of fun on the Saltitude. Today was an interesting day. We got to where we wanted to start our day And saw yellowfins busting on the surface. We had to wait a half hour before lines in watching this and of course they want down on lines in. We missed a white Marlin right off the bat. Then we saw the tunas again and got a double header of nice yellowfins. We picked at a few white Marlin on a sulphur line and ended up 2/5 here before it slowed down. We ran down the line about 12 miles and setup on another sulphur line with chick birds picking. We weren’t there long before I could hear a friend further away that I couldn’t hear earlier and he was on the fish so we picked up and ran another 15 miles and had a little over an hour left of fishing time and ended up catching 2/3 whites here to end our day. We took the tunas to the scale and they went 72 and 68 lbs. For the time being the 72# tuna puts us on the board for two calcuttas for some money, but still two days of fishing left. Quick report here. Ended the day 3/4 on white Marlin. Fishing seemed slow overall anywhere so felt fortunate to have caught what we did. Started in Lindy and didn’t see much. Bounced out to the 1000 for the afternoon and got a few bites and made our day there. Rough ride out but got pretty as the day progressed. 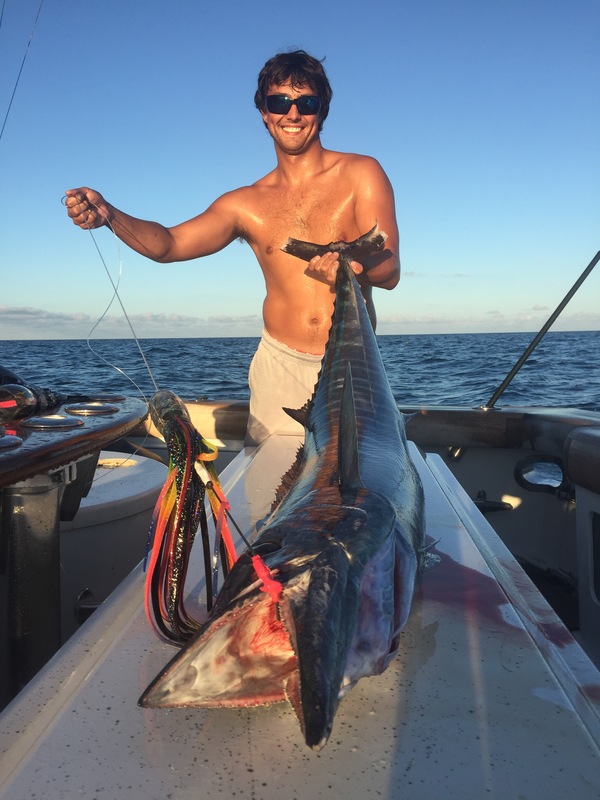 After being down for two weeks, we got the Saltitude back offshore fishing for Marlin. We ran back out to the 1000 fathom line between the Lindy and the Spencer and started of having a white come up on the pink squid chain teaser and switched the fish off to a naked ballyhoo. Justin got the release quickly and we got back on the troll. We pounded around the general area but we weren’t seeing much as far as bait or signs of life so we started working down the line a bit. 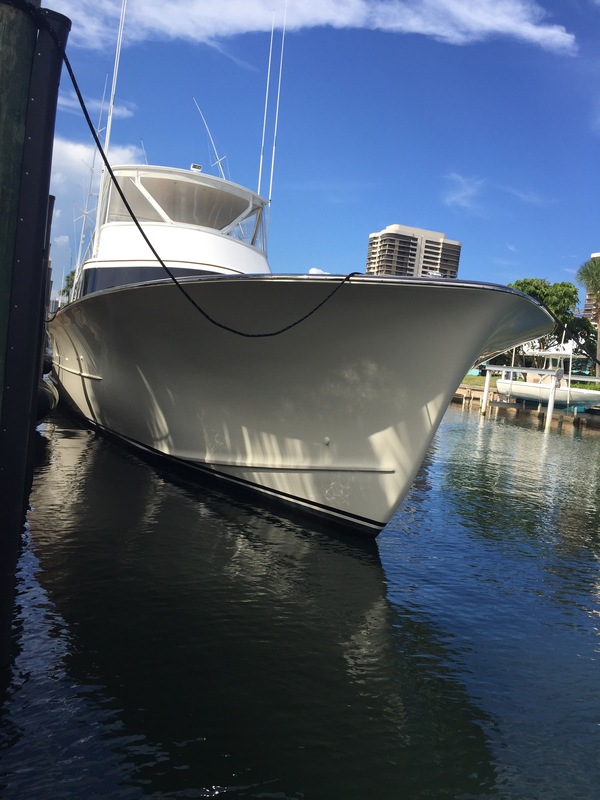 Well this past Sunday after soaking in placing in the White Marlin Open, I picked up my new rig, a beautiful 65′ Paul Mann. 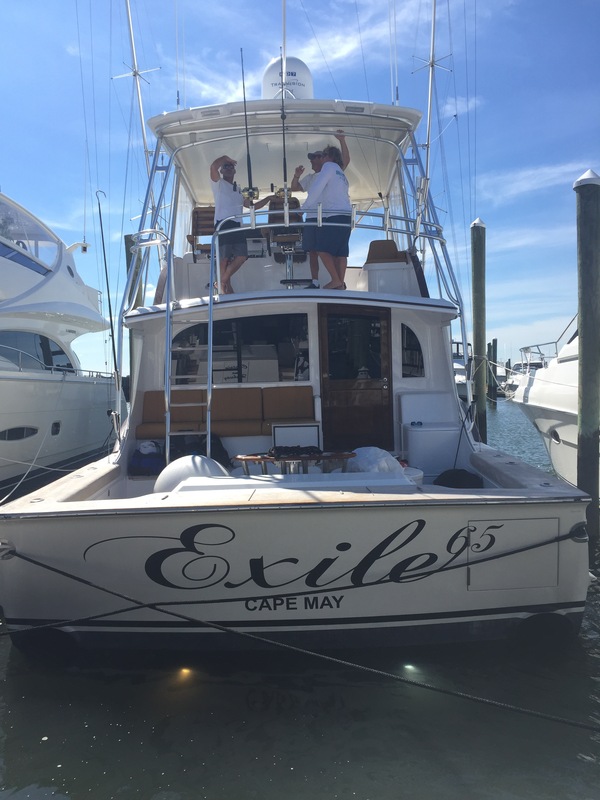 The boat is named Exile 65 and I will be exclusively running charters on this boat year round starting in September in various locations. We went from Palm Beach, FL to GE Inlet, NJ nonstop chugging all the way and got here late Wednesday. What a boat. I can’t wait to get her out fishing! Please spread the word. I will have all the information up about chartering Exile 65 by the end of next week right here on my website. I have the Mid Atlantic Tournament coming up next week on Saltitude. Well, going to do a long story short here. Been a busy week and I have to fly to FL tomorrow to grab our soon to be new rig (to be announced soon). 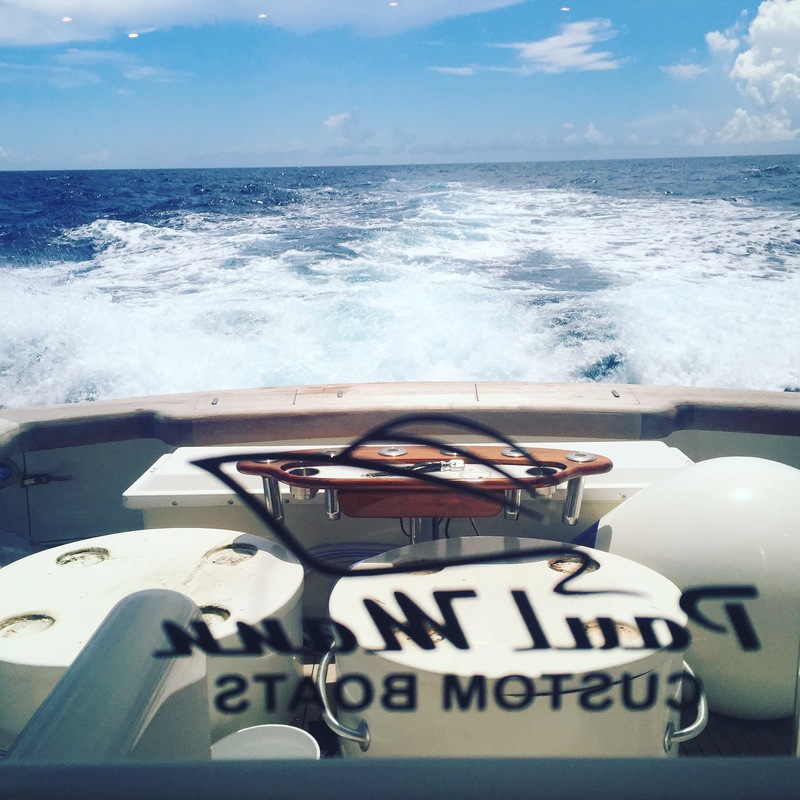 Day 2 for us was overall slow with 2/3 white Marlin release and a few mahi. We did have a 68″ white but it was very slender so we let it swim. Day 3 we were 2/3 on whites and at 2:45 we had tunas blow up on our long riggers. The tuna on the blue and white Fish DownSea Party Skirt stayed tight. Dave was on for a great fight and an hour and 50 minutes later we boated a nice yellowfin to take to the scales. We knew it would be close but man, it was soooo close. 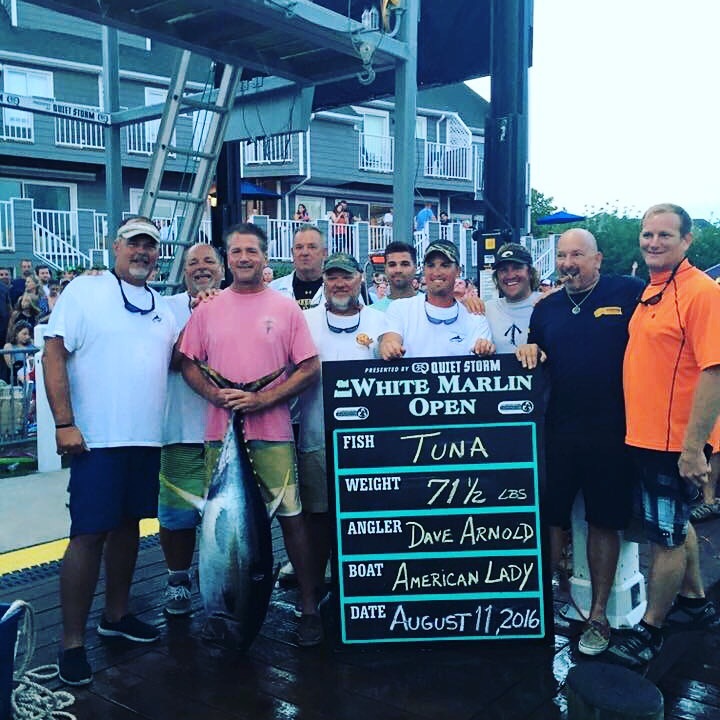 71.5 lbs and it held up through Friday and get us 3rd Place Tuna for the tournament and a nice little payout aboard the American Lady. Good times and a very fun crew!! 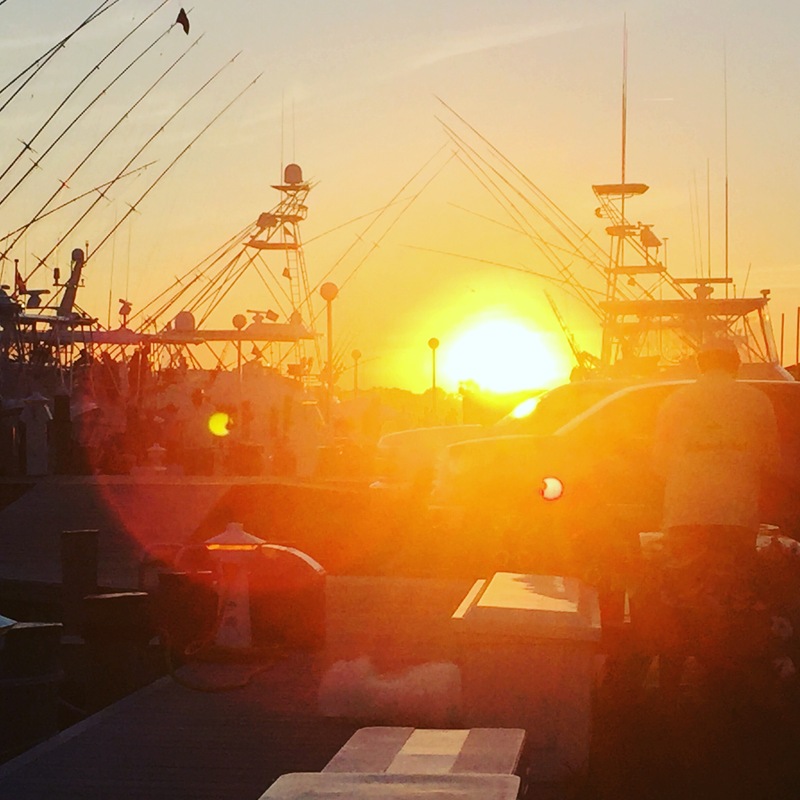 I am mating for Captain JoJo on the American Lady, which is a 58′ Ocean Yacht, for the White Marlin Open this year and stoked to be down here in Ocean City, Maryland! This tournament is always quite the scene with boats from all over coming to compete, and this year is certainly no different! Our first day started off slow but we got on the fish good around noon and ended up getting 1 white out of a triple (pulled hooks on the other two). Then we picked up a single White Marlin shortly after for a release. Then we had a double header up and got one to eat for another release After that it went silent for us until 3:15 when we had a white eat the right long and I missed. Ouch, first one of those in awhile, but overall fun day in flat calm water ending 3/6 on whites. Not much weighed in today, so it’s still wide open! We are laying Tuesday due to some steering issues but plan to fish Wednesday and Thursday. Hoping to find THE ONE!! !